We're showing information for 43506. Modern customers are clever. They will only invest time and money in companies that offer the best products, services, and buying experience. This means that competition in the Ohio region can be intense. Bryan, OH companies are working harder than ever to attract loyal new clients. Companies that want to thrive in such an aggressive market need dependable, rapid connections to current and future customers. Frontier Business packages offer a variety of phone and Internet services—including Business High Speed Internet—designed to help you stay connected with both your customers and employees. No business can survive in The Buckeye State without the right tools. Frontier’s services for small businesses offer features that will help you broaden the reach of your business while maintaining strong client, employee, and prospective partner relationships. Job-growth rate projections show an average of 17.58 percent for the Bryan area, which means you’re not just in a race with competitors to attract customers, you’re also competing for skilled employees. 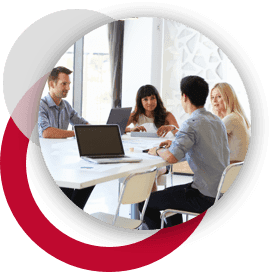 With Frontier you’ll have the advantage you need: Conferencing makes it easy to communicate with your team and keep everyone working toward the right goals. Stay connected to your clients and employees while keeping your data safe and accessible with Managed IT. Web Hosting and Development helps to improve your impact online, while Texting is an excellent tool for marketing events, increasing sales, and more. As a result of growth and expansion, thriving companies in Ohio face a variety of unique challenges. Frontier’s Enterprise Solutions are designed to help businesses meet these challenges while ensuring steady growth and longevity. For instance, scalable Ethernet systems (both Virtual Private Line and Local Area Network) support your business as its bandwidth needs increase and its connectivity requirements change. Plus, an IP Virtual Private Network provides the peace of mind that comes from knowing you access your digital resources without compromising security. However, growing businesses in Bryan require more than scalability. 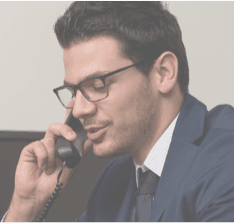 Companies also need phone lines they can count on—and Frontier Communications is ready to provide crisp sound-quality and a dependable connection. Plus, with Centrex from Frontier you can also get high-quality telephones that will help you to streamline communications with your customers throughout The Buckeye State. Frontier is equipped to manage hosting, network design, IT monitoring and equipment so that you can focus on improving your business and building relationships with customers. Then, get Frontier’s Hosted VoIP solution and take your customer service to the next level with the benefits of voice-to-email integration, Voicemail, Caller ID, and unlimited calling. In 2013, Ohio saw a reported 0 cybercrimes in Ohio. With that many cybercrimes going on, you can’t afford to not take measures to keep your Ohio company safe. Choose Frontier Secure for malware and virus protection, cloud backup, and high-quality tech support. Frontier can protect your business online, but the protection doesn’t stop there. You can also invest in equipment replacement programs, which protect your company’s computers and other necessary physical assets. Want a faster Internet connection? Frontier is ready to help. Frontier offers speeds up to in Ohio, meaning that your business can handle all of its online tasks in almost no time at all. That means you’ll never have to wait around to get the information you need. With a fast Internet connection, you’ll be able to download and share information quickly, spend more time communicating with clients, and grow your business efficiently.